A reader of my French blog has taken the trouble of translating my most recent Friday video in English. Many thanks to him!
. . . but mostly from the Paul Jorion blog now that we have the Internet. I want to talk to you about the stock market, because the stock market has been rising in France and in the United States. I am obliged to reflect upon this, because, as I have mentioned to you, I have agreed to prepare an afterword to a new edition of several works of Proudhon concerning stock-market speculation. It is important to understand what is happening at the moment. Does it mean that the economy is improving? To that end we need to look back at the events of the past two years. In the summer of 2007 we witnessed the drying up of inter-bank credit, by which is meant that the banks stopped lending to one another. I remind you that the reason for this is that there was a depreciation, which began to become quite spectacular from February of 2007, in the value of securities consisting of large collections of individual mortgage debts, because many people were no longer able to keep up their monthly repayments. Consequently, the value of these securities plunged. In the summer an air of general suspicion arose from the fact that banks did not want to reveal whether they possessed these products, which could no longer fetch a price, because there was now no market for them. Everyone in the world of finance suspected everyone else of possessing these products and thus of possibly being insolvent. An unwillingness to lend developed, as no one could be depended on now to be credit-worthy. I shall remind you of the first measure that was thought of to deal with this problem: the creation of what were known as ‘bad-value banks’ or ‘bad banks’. The possibility was envisaged of putting toxic derivatives into a form of quarantine so that the banks could get them off their balance sheets. So ratios of solvency were worked out, to see whether they were above or below the threshold of solvency. What happened, as has recently become known, is that the British, who were in much the same position as the Americans, came to the conclusion that it was impossible, as it would be too expensive. The second idea, which was adopted in previous crises, is known as ‘privatization of profits with socialization of losses’. This solution, which had always worked very well before, means that the private sector gets whatever profits there may be when things are going well and then, when things go badly, the state, i.e. the taxpayer, forks out to cover the losses. The novelty in the crisis in which we find ourselves now is that this classic solution can no longer be considered, as that too would have cost too much, the level of debt which had been incurred having exceeded the capacity of states to absorb it. The SEC (Securities & Exchange Commission) along with the OCC (Office of the Comptroller of the Currency) have just released their report on the valuation of financial products (Fair Value). 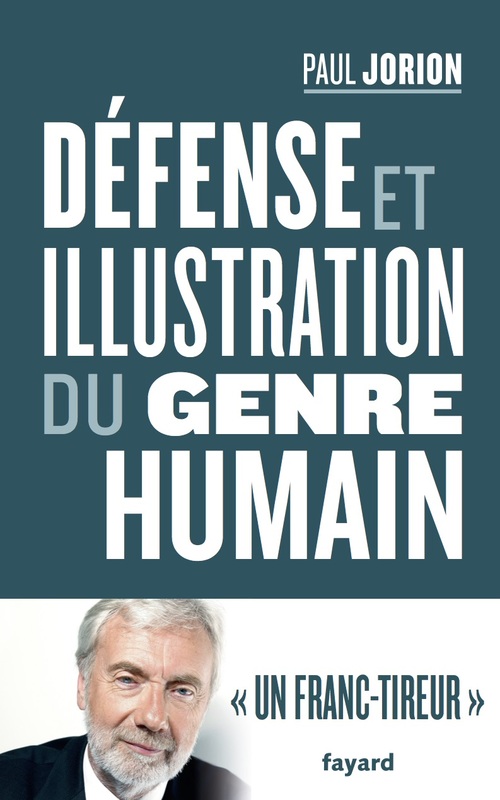 The subject is what I discussed in « Juste prix » et « juste valeur » and in L’implosion. 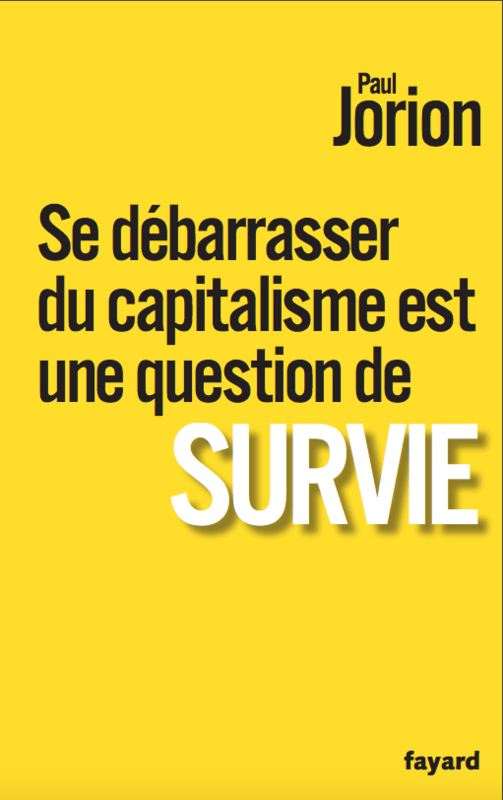 La finance contre l’économie: ce que révèle et annonce la “crise des subprimes” (Fayard 2008: 188-202). The issue is the following: firms have requested that Marked-To-Market accounting is suspended for the time being as they regard current circumstances as exceptional and prices “unrealistically” depressed, too far removed in any case from their “true value”. The report is bulky (255 pages) but its subject being pricing – my special expertise as a financial engineer – I will analyze it in depth and post a brief summary of my observations as a forthcoming blog. Should the full analysis be of interest to you as a financial establishment or a consultancy, please let me know (pauljorion@ucla.edu). 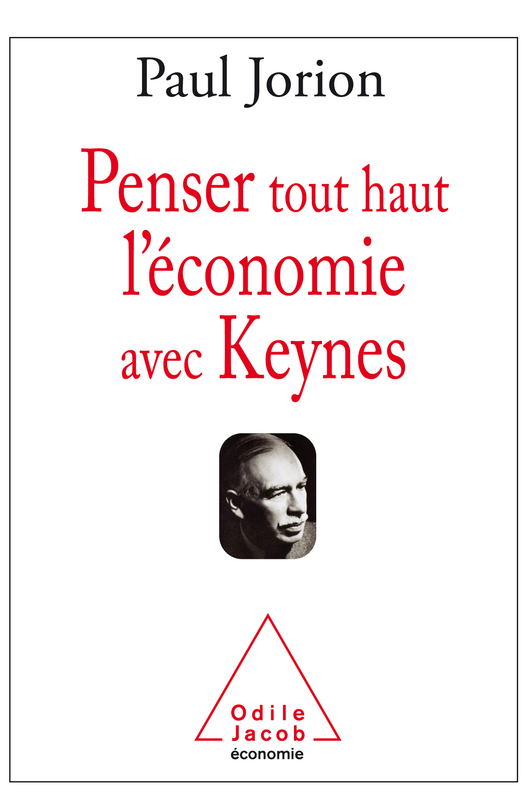 Here an account of my column in Le Monde on the concept of a new Bretton Woods. A radical reconsideration of the role of Central Banks is in order. 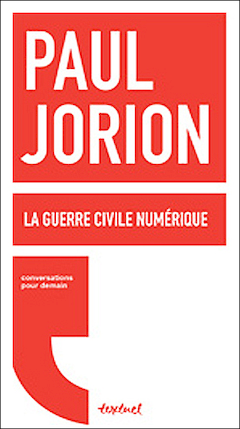 Within a capitalist framework, Jorion states, the capitalist provides capital to an entrepreneur whose activity will generate a surplus which will be shared by both. However, since the mid-1970s, investors (the capitalists) and business managers have pushed for the substitution of consumer credit for the declining share of the surplus that used to go to wager earners. We are experiencing now the price to pay for such greed. Central banks played a special part in this scheme by becoming one of the favorite weapons (in the class war) beholden to investors only, through the manipulation of interest rates to force entrepreneurs into compliance through the threat of bankruptcy, and wage earners through the threat of unemployment. 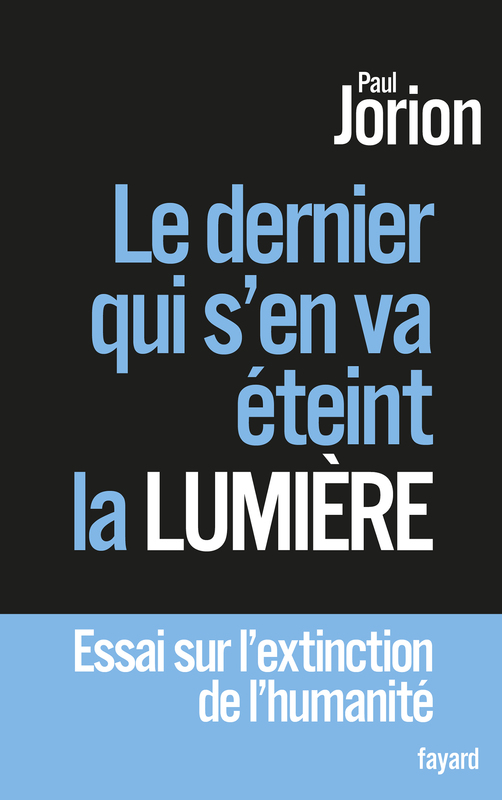 The original piece in French can be found here. I was Walter Traversy’s guest on CFRA a news only radio station in Toronto, between 2 and 2:30 PM. The podcast is here. I’m talking in the second part of the program … just after the weather report. But hear Walter introduce me in the nicest way at the very beginning. 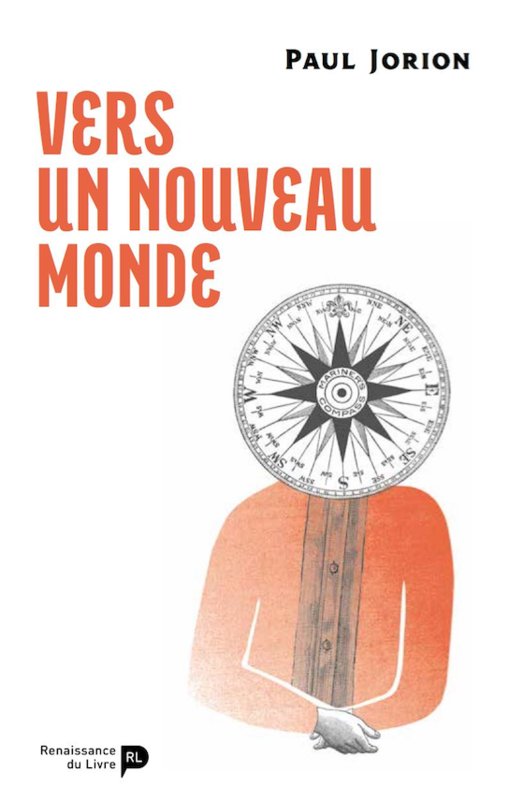 I’m a bit blasé about talking on French-speaking radios by now but this is a first: the first time ever I was part of an English-speaking broadcast and I’m very pleased! It seems therefore that from now until the end of the month the conditions for a crash are being met. The risk of my being right diminishes of course by the day. What is intriguing however within the current setup is that – should it happen – a culprit would be close at hand. We’ve learned indeed from the press that the discussions yesterday in Washington were about to succeed when John McCain’s interference led a number of Republican congressmen to withdraw from a potential agreement. So I’d like to reiterate – just in case : the conditions for a crash were met since September 5th. Foresight and Despair (“Oracle, ô désespoir !”, pun on a famous line from Corneille’s play “Le Cid” – 1636). 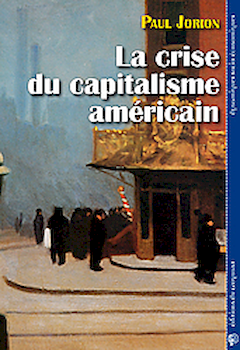 The author of this work, a Frenchman [truly, a Belgian] in America, has analyzed the financial crisis from a unique cultural perspective, and with a multidisciplinary approach. He is an anthropologist, a specialist in artificial intelligence, a research affiliate at UCLA, a former trader, and an economist all of which allowed him to predict as early as 2005 the subprime crisis, which exploded onto the scene in 2007. 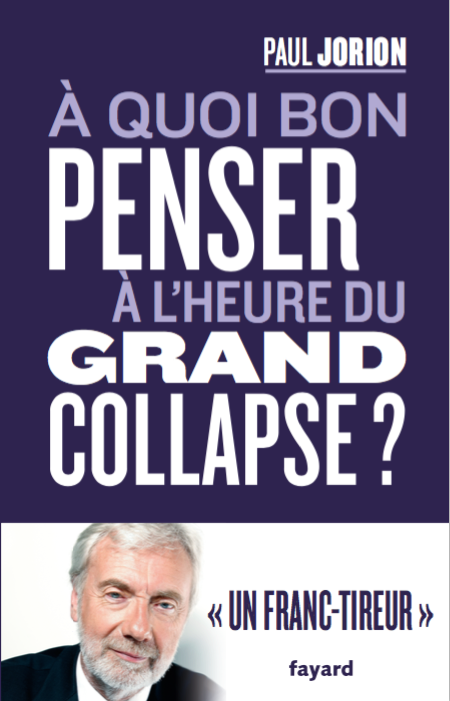 In a much talked about book entitled “Are we heading for a crisis of American capitalism?”, which appeared in January of 2007 (La Découverte), he foresaw with clarity the causes and consequences of subprime lending. Paul Jorion experienced the crisis from the inside, picking up the pieces as it happened, and when the bubble burst, he lost his position as an officer at one of the mortgage banks caught up in the storm. In other words, he is well positioned to explain how the American real estate bubble formed, and how average households were incited to borrow in an untenable fashion, betting on the constant appreciation of home value right up until the house of cards collapsed. In 2006, American households “extracted” 1.019 billion dollars in new loans, based on the fragile value of their homes. Mr. Jorion also describes how the use of erroneous financial models and uncontrolled financial innovations (such as securitization) allowed for a massive abdication from responsibility in the organizational structure of the lending industry. He details with great clarity, and in an accessible manner, the instruments and mechanisms that led to this catastrophe. But his book also shows that this unhappy experiment owes less to chance, and more to the effects of unbridled financial deregulation. Interest groups such as the Mortgage Bankers Association, which represents real estate lenders, defended this deregulation and found an ideologically sympathetic ear in the Bush administration. Some states however, such as North Carolina in 1999, attempted to ward off the danger and protect borrowers by adopting measures against predatory lending. According to Mr. Jorion, Applied at the national level, this legislation would have stopped the bubble from developing, thus preventing the subprime crisis, as well as the credit crunch that followed. But that didn’t happen, and the measures that were finally taken to assist households in difficulty are likely to be insufficient. According to the author, writing at the end of 2007, roughly a quarter of the two million borrowers concerned would benefit, but a kind of Marshall Plan on a grander scale would still be necessary. For Mr. Jorion, the crisis has only just begun, and it calls for a complete revision of the rules governing finance. It is a warning to be taken seriously. One way of looking at the subprime crisis – and by this I mean only the properly real estate–based part of the unfolding drama – is in terms of population dynamics, in terms of three populations of borrowers who first entered the market and then left it in reverse order as the last to come in were also the first to leave. In order to characterize these populations I’m resorting to a classification that was introduced – although used for a different purpose – by Hyman Minsky, an American Keynesian economist who was born in 1919 and died in 1996. Minsky distinguished [*] three modes in which an economy can operate in terms of behavior related to debt. In the first mode, borrowers are in a position to reimburse principal and pay interest on a regular basis; this is the safe mode which he called “hedged”. In the second mode, called “speculative,” borrowers are able to pay interest but are unable to reimburse principal. Finally, in the third mode, called “Ponzi”, from “Ponzi scheme,” borrowers are unable to meet either interest or principal payments. How can either speculators or Ponzi players be part of the scene? Speculators are safe as long as there is no request that they pay back principal, as in a non-amortizing or “balloon” loan: they can “roll” their debt until the day of reckoning. How can Ponzi players stay in the game? This is a bit trickier: they need to sell assets or, alternatively, keep borrowing larger and larger sums in order to service their debt. In normal circumstances, banks would only lend to “hedgers” being able to pay interest and principal, as these borrowers are the only ones likely to make their business profitable. Residential real estate in the US is subsidized by government: interest payments are tax deductible, and so are property taxes and the proceeds from the house sale, up to a ceiling. Federal Housing Association (FHA) contributions to mortgage insurance constitute as well a subsidy. These subsidies mean that owners can put more money into buying a house than they would otherwise. That additional money finds its way to the housing market and leads to inflation in the price of houses. If the circumstances persist, the market for residential properties sets into bubble mode. Once the market is in bubble mode an interesting change takes place: “speculative” borrowers are allowed to join in. Why? Because although they have enough money to pay interest but not enough to refund the outstanding balance, in the new circumstances that situation is only provisional as equity is slowly but surely building up through the simple expansion of the bubble. At the height of the bubble in the spring of 2005, housing price was rising at 13.7%. At that speed, equity amounting to 25% of the house value was built in after one year and nine months only. To give “speculative” borrowers a further little push, lenders reinstated the “Interest Only” mortgage. The Home Owners’ Loan Corporation (HOLC) had refinanced delinquent borrowers in 1933, inventing for the occasion the – from then on “classical” – fixed rate amortizing 30 year loan. The “Interest Only” or “balloon” loan had led borrowers to their demise and it should never happen again thought the legislators of the New Deal. 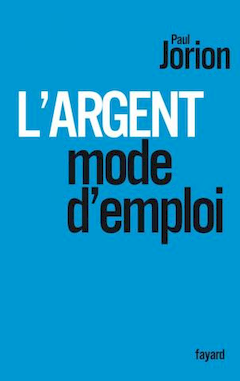 “Not so!”, started to say lenders in the new millennium. What about Ponzi players? Their time was about to come too! They couldn’t pay full interest and needed therefore to sell assets or further borrow to service it. In a bubble they could do both. They could sell their house at its new inflated price and use the proceeds to pay the interest due. But this was not even necessary as they could simply refinance their loan for a larger amount through a “Cash-out” mortgage loan and use that money. Alternatively, and sparing themselves the hassle of refinancing, they could subscribe to a “HELOC,” a Home Equity Line of Credit, exchanging the equity in their home for cash that could be funneled into paying the interest due. This being a bit too complicated for some Ponzi players, lenders came up with loan types that were pushing the bother of paying the full interest due into a distant future. There were two approaches. One was the subprime “2/28” ARM (for Adjustable Rate Mortgage) with the initial two years benefiting from a “teaser rate” and the remaining 28 years paying interest at a floating interest rate determined at a set margin above the index: most commonly, the 6 Month LIBOR (London Inter-Bank Offered Rate), the rate at which banks could borrow themselves on the Eurodollar market, Eurodollars being dollars traded outside the US domestic market. As is now well-known, at the time of reckoning, when interest was reset at its “true” rate opportunities for refinancing had all but evaporated, “2/28” borrowers then defaulted in droves, contributing thus to the bubble being punctured. The second approach used to give the Ponzi players a little push was the “Pay Option ARM,” when the option used was that of “minimum payment” – a formula that 85% of the borrowers of these “affordability loans” – as they were called – enthusiastically adopted. Of course, in the same way as with “2/28” subprime loans, a “reset” time would come when truth would prevail and interest would at long last need to be paid. In the “Pay Option ARM” the part of interest accrued but not actually paid would be added on top of the outstanding balance, i.e. the loan’s principal, creating what is called a “negative equity.” Reset would take place when the outstanding balance would have risen in that manner to 115% of the initial principal value, i.e. when the unpaid part of monthly interest would reach 15% of the loan amount. As we just saw, Ponzi players can only make their payments – however reduced these have become through subtleties in loan underwriting – if housing prices keep rising: they need indeed a constant restocking of equity to make the interest payments they’ve committed themselves to. Ponzi schemes display however the remarkable property of self-extinguishment. They require indeed to sustain themselves a constant flow of new recruits and these are out of necessity in finite number. Shortage in new recruits is what happened: once the Ponzi players had acquired their own home there was nobody to follow. This marked automatically the Ponzi players’ downfall as it meant that the price of housing stagnated and this they couldn’t bear as what they needed to pay interest was a housing bubble. But stagnating housing prices are but a fleeting moment as the foreclosed homes of the Ponzi players join the by then pretty crowded residential real estate market, leading the price of homes to fall, resulting in no time in the end of… “speculative” borrowers. Why? Because these could just about pay interest and were counting on the rising equity in their house for reimbursing one day the principal they still owed. When the equity stopped rising it became clear that that hope was unlikely to materialize and “speculative” borrowers got nervous. Nothing ominous had yet happened but the future had stopped looking rosy. When housing price began to drop things turned ominous. When paying interest only no equity in the house is being built apart from that which may be resulting from a current real estate bubble. So as soon as that bubble deflates, “speculative” borrowers find themselves in that position variously called “underwater” or “upside down”: when the outstanding balance on the house has become higher than the money that can be made through selling the house. At that point the “speculative” borrower starts dragging a ball and chain and may feel that the best strategy is that of rushing to the exit and propose the bank a “short sale” where the house is returned with the debt being forfeited – whatever the current value of the house compared to the outstanding balance of the loan – no question being asked. Homes reclaimed by the banks through short sales are put back on the market, pushing home prices further downwards. As I said, “hedgers” are able to pay interest and principal but this may change with plummeting home prices: if these keep coming down, at some point these borrowers also will get “underwater” or “upside down” and will feel that a “short sale” is the best way for preventing being out of their pocket comes the day of reckoning. In my next installment I will translate this “population dynamics’” approach of the subprime crisis into a financial one, in terms of the financial instruments involved: all those Asset-Backed Securities (ABS), Collateralized Debt Obligations (CDO), Asset-Backed Commercial Papers (ABCP) and Structured Investment Vehicles (SIV) you’ve heard about. 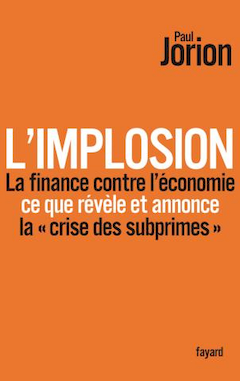 My new book called “The Implosion, Finance vs. the Economy – What the subprime crisis reveals and foretells” (L’Implosion, La finance contre l’économie – Ce que révèle et annonce la crise des subprimes) will be published on May 4th. 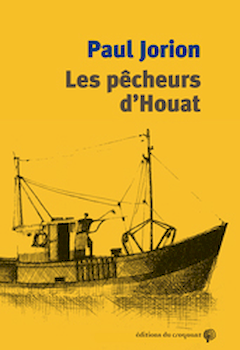 The publisher is Arthème Fayard, one of the top French publishers who will realize here a prowess in terms of speed between the reception of a finalized version of a manuscript and the printed book hitting bookstores. 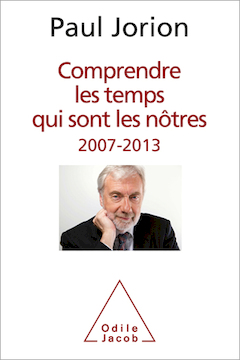 I’m honored that Mr. Claude Durand, head of Fayard, read in no time two versions of my manuscript. 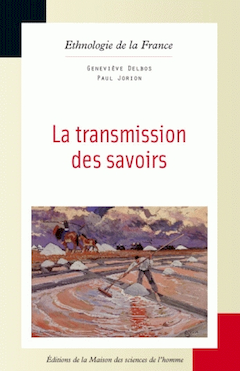 When at Editions du Seuil Mr. Durand created a groundbreaking series entitled “Combats”. He was in the same vein the first to publish Alexander Solzhenitsyn in the West. The subprime crisis is often explained in terms of trust: one day trust between financial counterparties vanished and here was a crisis. Explanations in terms of “market confidence” refer in fact to two distinct phenomena, one being indeed trust and the other one being more plainly straightforward profitability. Let me start with profitability. Subprime loans had been repackaged in their thousands so as to mimic a straightforward obligation, be these Asset-Backed Securities (ABS) or – in a second step – collateralized Debt Obligations (CDO) comprising ABSs. When the risk-based premium embedded within the interest rate charged on a subprime mortgage revealed itself to be insufficient to cover the actual risk of default on such loans, investors stopped buying the products where these had been repackaged. It’s as simple as that and has of course nothing to do in this case with either trust or confidence: investors simply stopped purchasing a product that had ceased to be profitable. The zero in the equation can be replaced by any figure you wish, depending on your profitability target. Trust slipped in under two different guises. I remind that a Collateralized Debt Obligation is a composite financial product the elements of which are certificates also called “tranches” of Asset-Backed Securities. Usually a hundred or more ABS tranches are thus repackaged as a CDO. Apart from being backed by subprime loans, ABS can alternatively be backed by credit card debt, auto loans, etc. The composition of a CDO is advertised in its prospectus, so it is possible to know whether or not a particular one comprised ABS backed by subprime loans. Some CDOs are more complex, like a “CDO square”, a CDO composed of CDOs, meaning that it is not unusual for a “CDO square” to be composed of over a thousand underlying ABSs. And this is where trust kicked in back in August 2007: if you couldn’t tell if a financial product contained or not subprime loans, you would simply abstain from buying it. Typically you would have an array containing the list of components of your CDO and you would loop through it and if subprime is encountered that would be the end of it. If you were able to loop all the way through without being kicked out and Deal being redefined as “Not Fine” then the deal is fine and you can buy. emphasizing that the components of the product need to be explicitly known for the deal to go through. Now an extension of the trust element was also involved: counterparty risk. It might be that you were not buying a single product but engaging in a long term relationship with a counterparty. As with an interest rate swap, say, where payments are made every six months over a period of several years. It is crucial to know that your counterparty will be there in the long haul. Now how many subprime loans has your counterparty in its portfolio that may weaken it financially so that its solvency over the long term might be compromised? Difficult to know. Let’s turn again towards the simple-minded but enlightening process of translating the condition into a line of programming. As can be seen from my pseudo-code, what the “trust” or “confidence” issue means in fact in the subprime crisis is that the conditions for purchasing a financial product become increasingly restrictive. The number of hurdles grows and the information necessary for a transaction to be allowed is growing in step: first about the product, containing subprime loans or not, about the seller next: “containing” (in portfolio) subprime loans or not. 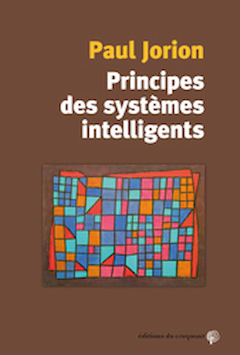 The crucial part is the “If Part = (“subprime” OR “”)” test: a large number of transactions would be prohibited because of the explicit presence of subprime loans but many more because of the missing information represented by the empty string “”: in case of doubt please abstain! I’m happy with the way things worked out yesterday, March 8th, at the UCLA Complexity Science Conference with my paper: The Subprime Crisis: A Human Complex Systems Phenomenon. 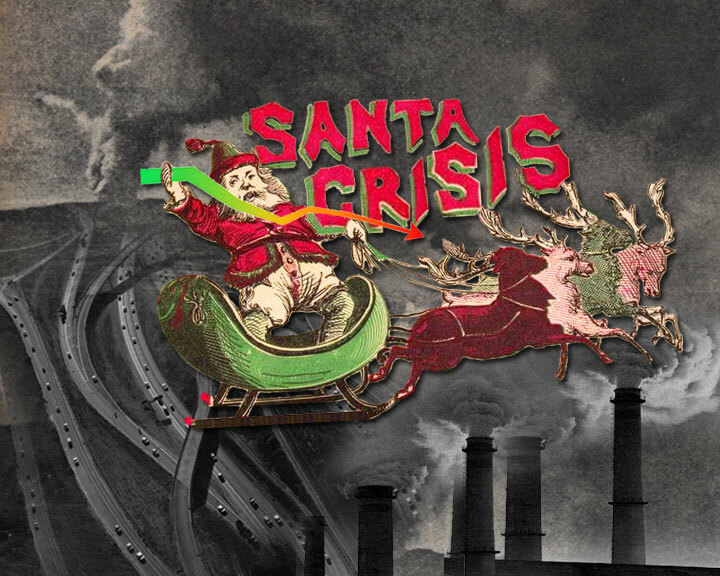 Of course, trying to squeeze the whole crisis into an hour (1 ¼ with John Bragin’s express permission), it turned out I had much too much material. I don’t think personally that slide shows have enough meat to show that they can get circulated without their author fleshing them up. This is why I’m not communicating as of yet what I had to say but I’ll be working in the coming days on a full-fledged text which will be posted here (watch this space!). Thanks to the organizers: John Bragin and Dwight Read (UCLA) and Doug White (UCI – in absentia). Thanks to the other speakers. From J. Steven Lansing (University of Arizona), I learned that human genes need not be aggressively competitive but can diffuse harmoniously according to the “neutral model.” From Michalis Faloutsos (University of California Riverside) I learned that graph theory allows you to track down kids saving money on records by sharing them on the web. Finally I learned form William I. Newman (UCLA) that Lewis Fry Richardson (1881 – 1953) was a pioneer in the study of fractals; I got also from William’s presentation an encouraging confirmation that discrete dynamic systems are the way to go when modeling human phenomena. Thanks to all! I’ve mentioned already in Agents using financial models and the “human cognitive cocktail” a number of pitfalls linked to the task of modeling the subprime crisis in a Human Complex Systems perspective, especially those related to agents’ partial understanding of the models they’re using or in errors they’re making when using them. I’ve also hinted at some models making unwarranted claims about their ability at forecasting. 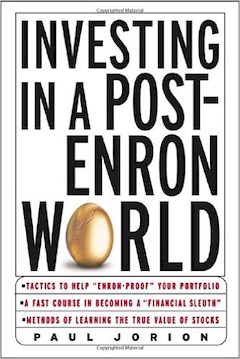 I should also mention – as I was recently reminded – inflated assumptions about the virtues of diversification or, I should rather say, at the capacity of the markets to remain optimally diversified. I also said in the abstract of the presentation to be made on March 8th: The subprime crisis: a human complex system phenomenon that the working of the financial instruments involved in the crisis [Asset-Backed Securities (complex); Collateralized Debt Obligations (complex); Asset-Backed Commercial Paper (simple) and Credit-Default Swaps (simple)] is relatively straightforward. There is however here a snafu which has to do with pricing: we have pricing models and pretty sophisticated ones at that but these are paradoxically known to be unlikely to provide any accurate picture of price. Our models of price formation are so far from predicting price accurately that an accounting directive implemented in 2007, FASB (Financial Accounting Standard Board) 157 distinguishes between “marked-to-model,” being assigned a Level 3 for reliability and “marked-to-market,” the price that the market actually generated, assigned Level 1. Level 1 reliability is top while Level 3 is bottom. I plan coming back below to why “marked-to-model” is so inefficient at predicting actual prices but let me first emphasize the conundrum we’re in: that we not only possess pricing models but that these are regarded as “industry standard” while at the same time there’s no way we can use them in a Human Complex Systems’ approach as they are known to be too ineffective at doing what they’re aiming at doing, i.e. at giving an accurate figure for a price. “The dynamics of the market price is […] best described as a discrete dynamical system where the most recent settlement price is a function of past prices. with MaP t standing for Market Price at time t.
A market price is clearly dynamic as its value changes with time; it is also discrete as each transaction generates a settlement price that applies to [a] specific volume […] exchanged between seller and buyer, and it is a function of past states as all agents base at any point in time their decisions to buy or sell on an analysis of past prices – be it crude or sophisticated. The speculative value (SpV) […] is simply [“marked-to-market” price] minus [“marked-to-model” price]. SpV t = MaP t – NaP t.
“When the price of any commodity is neither more nor less than what is sufficient to pay the rent of the land, the wages of the labor, and the profits of the stock employed in raising, preparing, and bringing it to market, according to their natural rates, the commodity is then sold for what may be called its natural price” (Adam Smith, An Inquiry into the Nature and Causes of the Wealth of Nations, Oxford: Oxford University Press,  1976: 72). Benjamin Graham introduced in Security Analysis (1934) the by now widely accepted concept that the non-speculative, i.e. “natural price” of a stock can be calculated additively as the sum of all discounted future dividends, to which should be added the present value of the company’s equity per share, in case the company folds some time in the future. 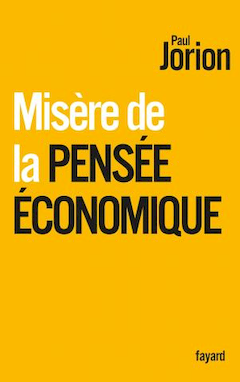 The main difference therefore between “marked-to-model” prices and “marked-to-market” prices is that the former are “extrinsic”: calculating the price of a particular product from other prices – those of the product’s components, while the latter are “intrinsic”: the price of the product is “self-reflective” being based on itself, more specifically on prior instances of itself. 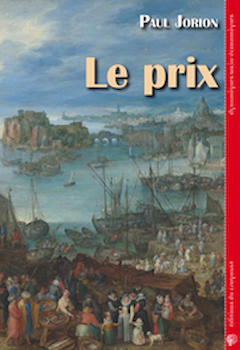 (*) I have explained this in more detail in a paper published in French: Le prix et la « valeur » d’une action boursière. UCLA Haines Hall 352. The conference starts at 9 AM, my own talk is at 2:30 PM. If it looks like proposing an entirely new paradigm for financial studies, that’s because that’s precisely what it is. Hope you can join! 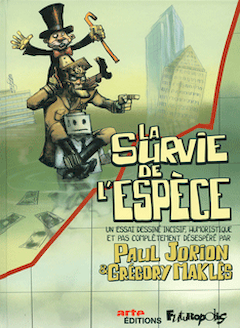 Explanations of the subprime crisis typically combine partial explanations, illustrations, “speaking” analogies, etc. treading at different levels: from the “elementary particle” level where the consumer and the financial trader are acting, to that of the “field” level where entities such as “market distrust” or “credit crunch” are being invoked as observables. Understanding is assumed to derive unproblematically from such an impressionistic portrait where intuition is expected to fill the gaps of an overall explanation. 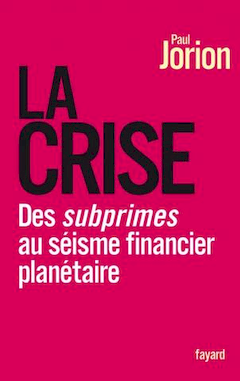 What is presented here is what aims to be instead a total explanation of the subprime crisis, connecting in an integrated whole the “particle” and “field” levels of the financial system which provides the economy with its bloodstream. The mechanics of the financial instruments involved in the process (Asset-Backed Securities; Collateralized Debt Obligations; Asset-Backed Commercial Paper and Credit-Default Swaps) is first presented: their anatomy and their physiology where the circulation of cash flows underlines their analogy with hydraulic systems regulated by control structures. 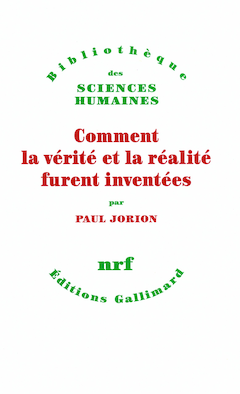 Is then added to the picture, the human agents’ interaction with them, their representations of these instruments’ behavior – or lack of it – as models and their failed as well as successful attempts, based on these models, at correcting what they observe as the unintended consequences of these instruments. Human models are shown to imply in most cases unwarranted assumptions about the feasibility of accurate forecasting. Adequate models typically favor homeostasis as they suggest ways for implementing corrective behavior or negative feedback while inadequate models typically encourage “herd behavior” or positive feedback leading to catastrophes. Positive feedback is however shown to be the leading dynamics of some core financial processes such as speculative pricing (i.e. pricing as an intrinsic dynamics severed from fundamentals); leverage (providing a multiplier to chances of gains and of losses) and derivatives (allowing to replicate the chances of gains and losses of an underlying instrument into a new “synthetic” one). Crises within human institutions derive often from an incomplete understanding of the processes at work. The paper has therefore the pragmatic aim of providing means for countering future disasters within the financial system. 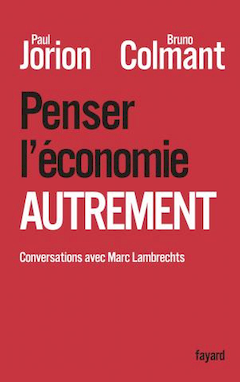 I’m aware I’ve neglected my English blog but there were two good justifications for that: I was finishing writing up a new book called “La crise des subprimes en 2007” (untranslatable) and I was promoting that coming book in Paris by speaking at the Ecole Normale Supérieure, talking on the radio and giving several interviews to dailies and weeklies. 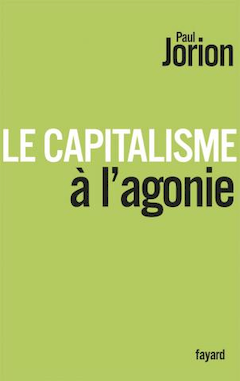 My book that was published just a year ago, “Vers la crise du capitalisme américain?” made it to the top ten list of the (French) “Readers of economy books’ prize” – which was a nice surprise as I was not aware I had written an economy book and creates a nice buzz about the coming one. So I’m back ! or at least I hope so!